Hello all. Once again many thanks to those who joined in again last week....I really do appreciate your support each week. Firstly my table is covered with fabric and that always makes me smile....this was some I saw on offer in a Facebook group I'm in. I'm always looking for fabrics for boys and this was just too good to miss. I'm sure I will find a use for every bit. 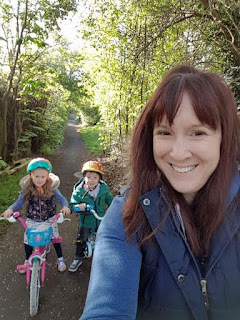 This was a quick snap of the twinnies and their mummy cycling to our house one very early morning this week because they wanted to have breakfast with me.....they were so excited. It's the simple pleasures in life that make me smile and being close to all my family is one of my best. 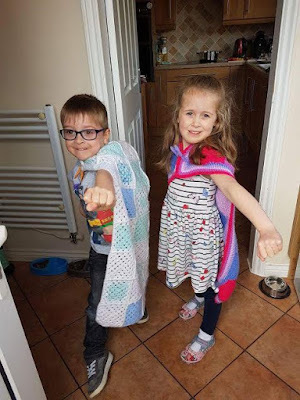 Here's the twinnies dressed up as Batman and Batwoman....so you know who to call in an emergency. 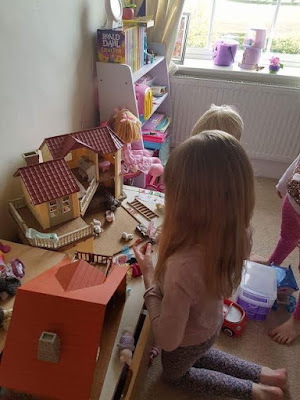 Here's a quick snap of Amy's three playing with their Sylvanians and making good use of the clothes I made them for Christmas.....more simple pleasures eh? And finally for those who enjoy nature in all it's glory here's a few snaps from around our garden now....who isn't smiling now? I really love Spring with all the new life and gorgeous colours. So, I've shown you mine. Please leave me a little comment so I know you've called by and link to your own smiles below....oh and I really hope your week is filled with smiles. And your grandchildren's smiles are lovely thing to see first thing in the morning. Family always brings smiles, lovely pictures. How lovely the twinnies are only a cycle-ride away. And it is nice to see the other little family playing so happily together, no doubt enjoying their Easter break from school. 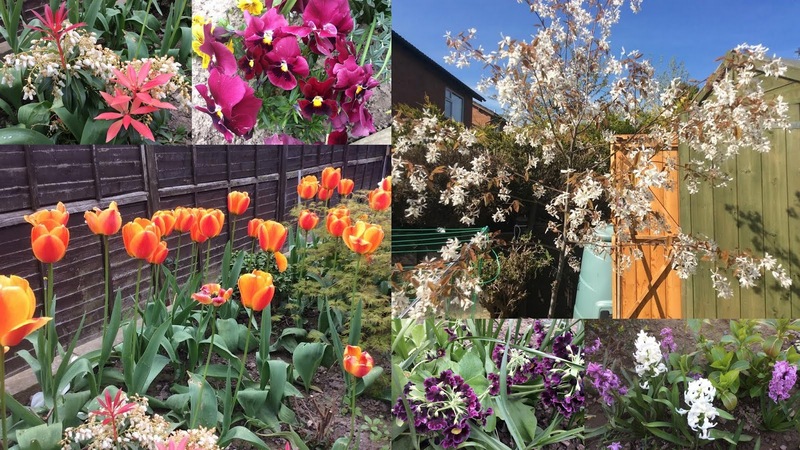 You garden is a picture Annie. So may lovely colours. Spring is a truly beautiful season.